NOTE: The photo is a placeholder, and is not the actual product. It will be replaced soon. An inch of high-density foam surrounds your trumpet. Students and professionals who want the original (and still the best!) 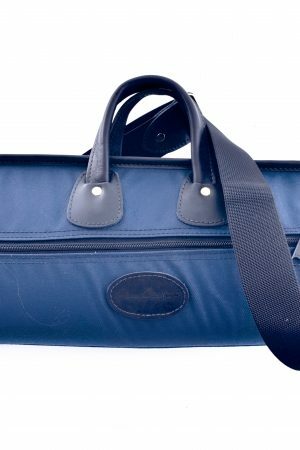 gig bag for carrying one trumpet. This bag cradles a single trumpet in high-density foam for ultimate protection. Featuring a huge #10 YKK zipper, your bag will to last decades. Using the original Glenn Cronkhite design, this product is light, durable, and – most importantly – ultra protective.